Feeling guilty about drinking a beer or two? Well DON’T! Moderate beer consumption is actually good for you. Science has shown that beer can bring many surprising health benefits even though it’s usually perceived as unhealthy. 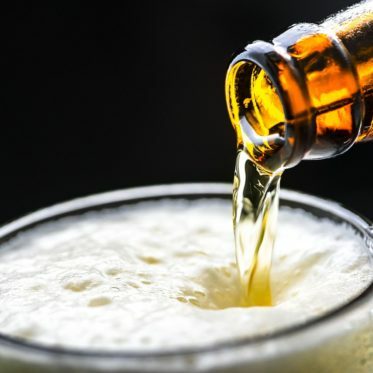 According to a study from the American Society of Human Genetics, drinking one to two alcoholic beverages a day isn’t a bad thing, in fact it’s a good thing. Just remember, we’re talking moderate consumption (one drink per day for women, and up to two for men), not all-night drinking sprees. Studies have found that people who drank a pint of beer daily had a 31% reduced chance of heart disease. This heart-protecting power of beer stems largely from beer’s natural antioxidants called phenols. This health benefit is attributed to beer’s high water content (about 93%) that helps flush harmful toxins out of the body and keep the kidneys working properly. Also, compounds in hops used in brewing help slow the release of calcium from bones, which in turn prevents build up of lost calcium in the kidney in the form of stones. Beer not only has no cholesterol, it can actually improve the cholesterol in your body. In fact, drinking beer regularly and moderately will tilt your HDL/LDL cholesterol ratios the right way. You’ve got two kinds of cholesterol in your system: HDL, the “good” cholesterol that armor-plates your veins and keeps things flowing, and LDL, the “bad” cholesterol that builds up in your veins like sludge in your bathtub drain. Beer power-flushes the system and keeps the HDL levels up. According to some studies, as little as one beer a day can boost your HDL by up to 4 per cent. The most amazing beer and health connection is something called xanthohumol, a flavonoid found only in hops. Xanthohumol is a potent antioxidant that inhibits cancer-causing enzymes, “much more potent than the major component in soy,” according Dr. Cristobal Miranda of the Department of Environmental and Molecular Toxicology at Oregon State University. This xanthohumol stuff is so good for you that the Germans have actually brewed a beer with extra levels of it. According to numerous independent studies, moderate drinkers live longer and better than drunks or teetotalers. Beer is perfect for moderate drinking because of its lower alcohol content and larger volume compared with wine or spirits. And as that old radical Thomas Jefferson said, “Beer, if drank with moderation, softens the temper, cheers the spirit, and promotes health.” And he didn’t need a scientific study to tell him that. Take a look at our weekly drinks specials and stop in for a beer to two.